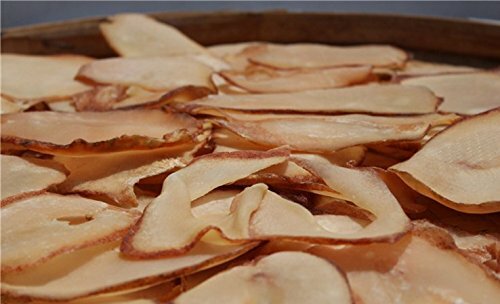 Product Information: Description: Dried seafood conch cut slices from South China Sea, Nanhai. Origin: South China Sea. Net Weight: as shown on product title. This seafood is lightly sweet, mildly salty and neutral in nature. Conch is a common dried seafood in Asian countries. It has a high nutritional value. Preparation: 1. Soak the dried conch slices in clean water till it gets softened. Refresh water after some time. 2. Put the dried conch slices into Boiling water for 30 minutes with scallions and ginger to remove any unfavourable smell, switch off and let the water gets cold under room temperature. 3. Remove sands or other broken shell pieces, if any. 4. Ready to cook with other ingredients. Storage Conditions: Clean, Ventilating, Dry Place. You are highly recommended to consult your health care adviser prior to ingesting. Seafood from South China Sea, Nanhai: South China Sea is a very famous seafood hunting field, surrounded by China and South East Asian countries. Seafood harvested here is always wild, natural and fresh without pollution. Seafood is nutritious and good for your health. We dry, process and pack the seafood, sell it to all over the world. Welcome to buy this dried seafood from us, thanks.